This week DriveThruRPG is having a special "Teach Your Kids to Game" week. ...unless you factor in these games are also most excellent replacements for slightly inebriated players. 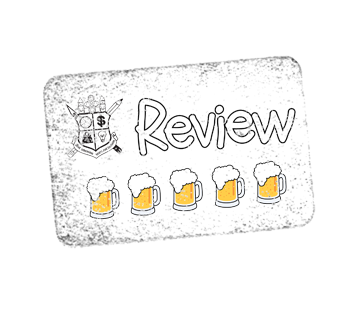 When we tried to play the appropriately-named Murderhobos while having a few....libations, it wasn't bad, but some things were a bit "off" as far as what I think a good "Beer, more beer, a few shots, and pretzels" game should be. Now for the record, to be 110% clear, I am condoning drinking and gaming, as long as your players don't have to sober up and try to drive home. A good game for drinking and gaming has to have simple mechanics, a lot of flexibility, and math that a kindergartner can probably do (I don't have kids, so maybe the standard should be 3rd grade or High School Common Core math). Bean! The D2 RPG Second Edition seems to fit the bill, but I reserve the right to perform extensive play-testing. Can you GM off-the-cuff in more of a storyteller role? Can your players toss marked coins, dice, or even beans and determine which side landed up? Can they count up to maybe double-digits? Can you keep track of three stats? If you can answer all these questions "yes" when partaking in the elixir of the Gods, then I think Bean! can be your go-to game when you and your players are two-sheets to the wind & fast on their way to the third. Right now the PDF of the game has been reduced to $1.50, which makes now a good time to check it out. I think it's worthwhile at the regular price of a whopping $3. I was surprised at how much came in that PDF. 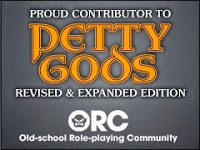 Aside from the basic, easy to understand rules, there was a character creation section (which was expected), spell & equipment lists (again, expected), and some PC sheets (still nothing unexpected). There was also a couple of pre-gens, some blank monster sheets, nine monster cards, a monster section, and wait.....that's not all!.....there were two adventures. One adventure was a solo adventure and another was an introductory group adventure. The only "issues" I had with Bean! were minor ones easily remedied, I think, in use. First off.....I doubt I'd ever actually use beans as d2's. I'd probably go with fudge dice. If we're drinking and gaming I need things to be as easy as possible. Every player has their own color and I'd probably use something like colored chits to denote HP and money. Last thing I want is a bunch of drunks trying to remember how to use pencils safely...or remember to write stuff down at all....or be able to read their writing later. I think I'd also change the exchange rate listed (200 copper equals 20 silver equals 1 gold) to a simple base 10 (100cp=20sp=1gp). Easier for everyone involved. 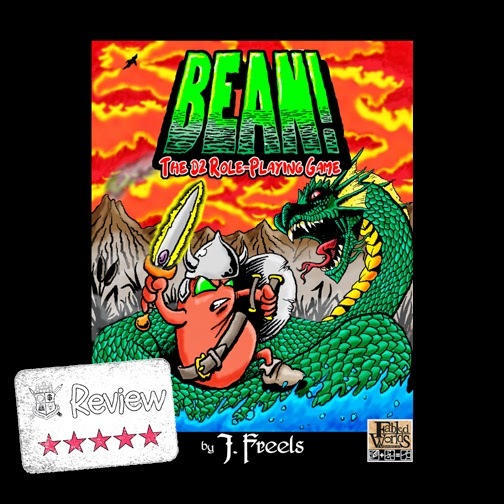 Fabled Worlds has a decent number of cheap adventures for Bean!, but they are just a bit silly for my tastes. I figure I'll get enough silliness from my player that I won't need to add any. The good part of this rather simply system is that it really is story-telling based and the GM could easily adapt most OSR adventures on the fly, provided he is sober. You might want to do a bit more game prep is you will be partaking yourself.